One of our Home Healers lately sent us a story that she humorously titled “I Am Stoned”. Here it is. 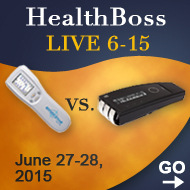 “I was wakened in the early morning with lots of ugly pain in my abdomen… Kidney stone. I have been down that stony path before. After some time of suffering through the pain, I finally got the “bright” idea: how about I use my SCENAR? So I did. I was able to get the pain “gone” and went back to sleep. This morning I passed the largest stone I have ever passed on my own! No hospital, just me and my “sweet baby” (SCENAR). I am amazed and grateful. There is still something in the area, like some raw tissue, but Oh, boy – I am home and able to engage in my life without having to wonder how I can manage these very unexpected events. 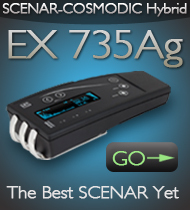 I have a partner to assist me – SCENAR. We are very happy for Harriet and her Sweet Baby (SCENAR-COSMODIC VX735Ag). Even though she used a funny title for her story, we know that when overall soft and tender body forms stones (commonly in the kidneys or in the gallbladder), it is a no-laughing matter. 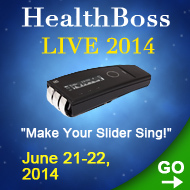 Once in a while the body will try to expel these stones – and this is an extremely painful experience. You may also end up in surgery. 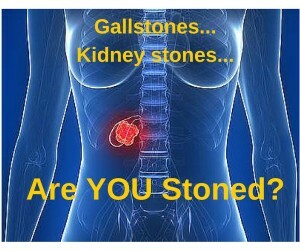 I looked up the stats on kidney and gallbladder stones and was shocked to find out how common the phenomenon is. Each year in the United States people make more than a million visits to health care providers and more than 300,000 people go to emergency rooms for kidney stone problems – and gallstones… one in every three women and one in every six men will have them. Wow. All these stones can potentially cause serious problems, so we better be prepared. Can SCENAR help? Yes, quite a bit (as you already heard from Harriet). While SCENAR or COSMODIC cannot completely prevent formation of the kidney and gallbladder stones or dissolve them (you need a serious correction of the metabolic processes in your body for that), they certainly can help expel the stones and often prevent their surgical removal. If you have been diagnosed with the kidney or gallbladder stones or “sand”, just use your devices directly respectively on the kidneys or gallbladder, in default mode on your SCENAR or COSMODIC. If your device has the myostimulation mode, like MYO or AM, it is better NOT to use it – you do not want to push the stones to move before the body is ready. 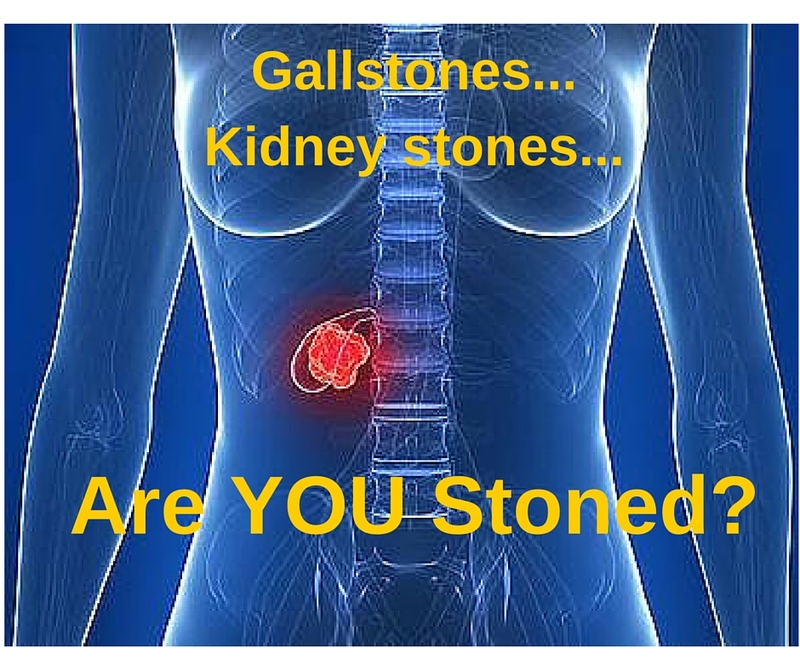 Now, what do you do, if the stone is moving and you develop kidney colic (also called a renal colic) or a gallbladder attack? First, don’t panic, grab your devices, start using them right away, and don’t stop until the situation is resolved. KIDNEY (RENAL) COLIC. 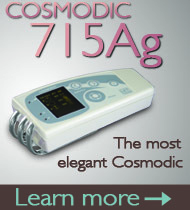 Apply your SCENAR or COSMODIC right at the point of pain. Most likely, it will be on your back, in the lumber area, first. 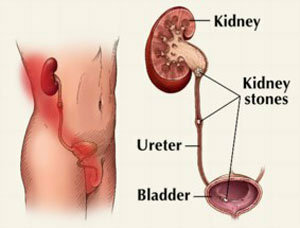 As the stone is moving, the pain will be moving as well – to your side, then to the front, and down towards the bladder. Follow the pain and move your devices along the urinary pathways downwards, in the stroking motions, to help the stone move. 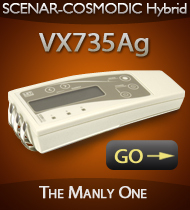 Here you can use the myostimulation modes on your SCENAR or COSMODIC, but only if they do not increase the pain level. GALLBLADDER ATTACK. It develops when the stone is stuck in the bile ducts and can’t move forward, so your job is to help it move. 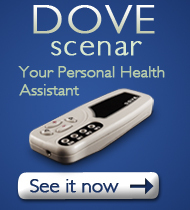 Again, use your devices on the most painful spots – the body lets you know where it needs help. In the acute gallbladder situation, the pain is generally located to the right and up from your naval and on the back around T5 vertebra. 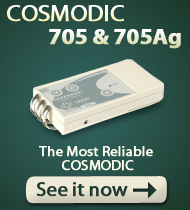 Besides applying the devices directly to the point of pain, we also found it quite effective to use the SCENAR/COSMODIC with a pair of shungite electrodes attached to both front and back points of pain. Along with the SCENAR/COSMODIC, use all other known and proven methods of helping the stones move, such as a hot water bottle, lying on the non-painful side, antispasmodics, anti-inflammatory etc. Some Home Healers use apple cider vinegar mixed with apple juice to help with the acute gallbladder attack and swear by it (1/4 cup of ACV with 8 ounces of the apple juice). We cannot deny or confirm whether or not it helps, but it can’t hurt. Please note that using the SCENAR/COSMODIC devices can help resolve the colic or attack in many situations, but there is no guarantee. If it does not get easier no matter what you do and there is no sign of the stone moving – go to the emergency room. The seriously stuck stone can be dangerous. After the acute situation has been resolved, do your research and in addition to using the SCENAR and/or COSMODIC on a regular basis employ the other natural methods of stone treatment that you feel comfortable with. Even though your Personal Health Assistants can support you in getting rid of the stones, you need to do a number of other things as well in order to correct metabolism, DISSOLVE the stones naturally, and PREVENT the new ones from formation. Is it possible? Yes. Is it easy? No. It requires determination, persistence, and includes several components. 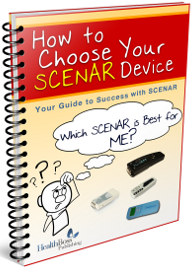 With the SCENAR and COSMODIC though, you have a strong advantage – it will be helping you every step of the way and will make possible what otherwise would be only probable. P.S. 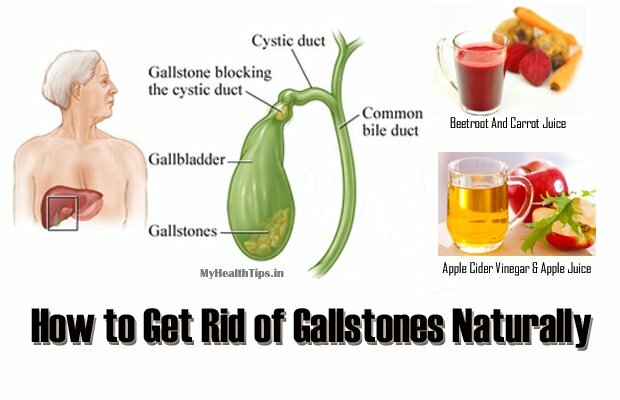 To the question of the well-known Liver-Gallbladder Cleanse with olive oil and lemon juice, which in different variations you can find all over Internet as “get rid of gallstones naturally”. 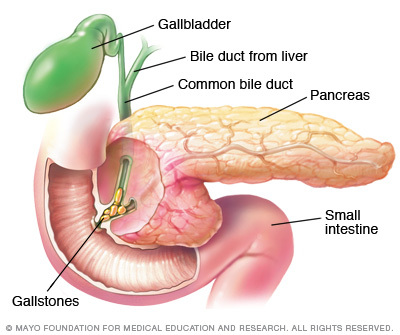 Yes, it is natural and effective, but PLEASE do not do it unless your body is well prepared by prior more gentle liver cleanses, “stone dissolve” treatments, and SCENAR/COSMODIC therapy – and ultrasound shows that the size of the stones is small enough to pass through the main bile ducts. Otherwise it may be a recipe for disaster. This cleanse is a STIMULATING one designed to expel stones through the strong contractions of the gallbladder as a response to the olive oil, and if these contractions push too large and/or too sharp of a stone into the bile duct and it gets stuck there, you are heading straight to the operating table. You wouldn’t try heavy weight lifting or running a marathon without a proper preparation, would you? Everyone knows that not only won’t you succeed, but you can seriously hurt yourself. So don’t do that to your body!